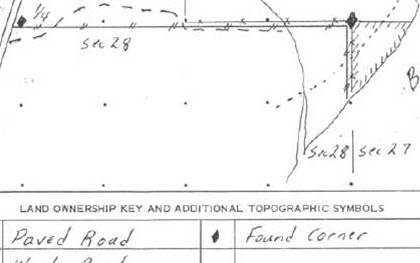 “The Manual of Surveying Instructions for the Survey of the Public Lands of the United States” prepared by the Bureau of Land Management of the Department of the Interior describes how cadastral surveys of the public lands are to be made in conformity to the law and the section on the recovery of “lost or obliterated corners” is very specific. Above - Pg. 1 Details on "found corners"
Above - Pg. 2 "Site is well drained, timbered waterfront property which would be ideal & economical pubic access for recreation area for county development. Dredging spoils present could make a nice sound beach, and fresh water development appears easy." Above - Pg. 3 "Parcel of land in the NW corner of Sec. 27 isolated from balance of the Section by Cedar Creek. Present area is about 5 acres -mostly upland -in contrast to the recent supplemental plat & the L.O. records. L.G. Flanagan's Plat of July 8, 1960, attached is realistic. One narrow branch is the only bar to vehicular access directly east along the section line from the paved state highway half a mile west. Lines & corners are plainly marked -monuments, painted lines, and fire breaks -throughout the local area." So the Park is never built on Gov. 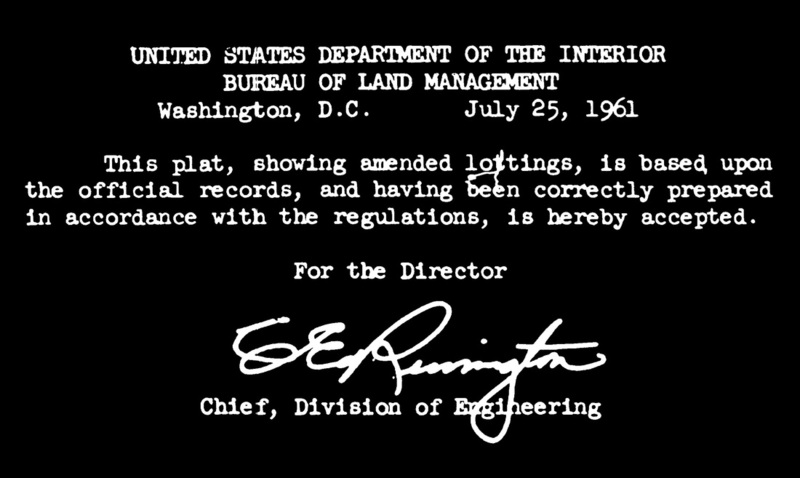 lot 7; the BLM had conditionally issued the patent to the City for three years for the City to build the Park. The deal… No park - No patent. On two separate occasions, the BLM requested the City of Freeport to sign a quit claim deed back to them. The City never responds. The BLM resorts to the legal system to get the patent cancelled on August 25, 1977. Yet in our case, when we officially ask the BLM if it owned any land in this township the official response was no we do not.